Super Teacher - Dedicated to children learning to read. What makes a super teacher? Perseverance. Teaching is demanding. Period. This is a tribute to a teacher that has improved the reading skills of hundreds of students - after school. After a successful career in Education, he spent his days teaching children the Phonics sounds. Homeschoolers during the day and school children on their way home from school. He moved all the furniture from his living room and all the Moms and siblings were welcome. This is a tribute to him as one who had studied education from many sides clear through a PhD in Education, and ended spending his retirement practicing what his Kindergarten teacher had wished he would have practiced decades earlier. I'd like to call out my Dad as one of the most persevering teachers I've ever known. He'd already had a very successful career in education and had worked at a high level in the Department of Education, even since the days when it had been the umbrella Department of Health, Education, and Welfare. Because he was disillusioned with what he saw happening in the government version of education, he retired early taking Reagan's RIF, Reduction in Force. 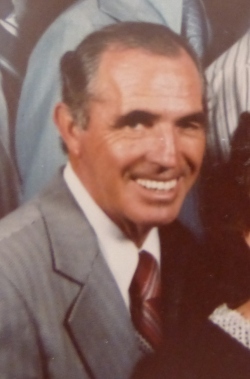 He then spent several years teaching such things as history at a private school and later retired for real. Mom and Dad had had many close friends. They had helped many young families in their area and because of this close contact with people, began to realize that there was a great need to help parents to help their own children learn to read and write. So, at seventy, he drove to Arizona - hundreds of miles to Phoenix to learn Phonics. I love saying that. He spent nine weeks taking the teacher training at Spalding Education International (SEI) so that he could return home to help others learn Phonics for reading - Spalding style. Say it. Write it. Repeat it. That Thanksgiving weekend he began to teach our children and their cousins the phonics sounds to the 70 phonograms. Whew! That must have taken a world of patience. He was a super teacher, explaining the sounds of the phonograms carefully to both parents and children. In other words, he included all who came to the short classes. Immediately we began inviting friends till our dining rooms were full. There were so many of us that endured the extra trouble of traveling to each other's homes, that he offered to have the classes immediately after school at his own home. It was an excellent location at the intersection between two grade schools so that many of the local school children could simply stop on their way home. I think that the real benefit is that he invited all of us to join the class. The parents learned how the children were learning (and caught a few distracted children) so that they could practice at home. He even showed how to be sure to hold the phonogram cards so that two cards, or the wrong cards, would not show, so that we could practice over the weekends. Just fifteen minutes a day and by the time that Christmas break was over our own son was very much handier with reading, to the point that his teacher said, "Whatever Grandpa is doing is great!" Within the next semester, one of our daughters pulled her very low spelling average up to an 85 and never looked back. Within the first two years there were many children who were rescued for the grade level they were studying. In the course of the few years remaining before his final illness he had helped over sixty families for free. Yes, all gratis. All of us are grateful for his excellent example of dedication to others. May God rest his good soul and grant that we all have such a super teacher! The Writing Road To Reading - Romalda Spalding's classic Writing Road To Reading. 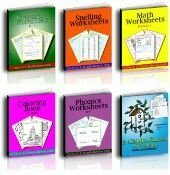 Printable Phonics Worksheets - Worksheets and phonics videos using phonogram flash cards.